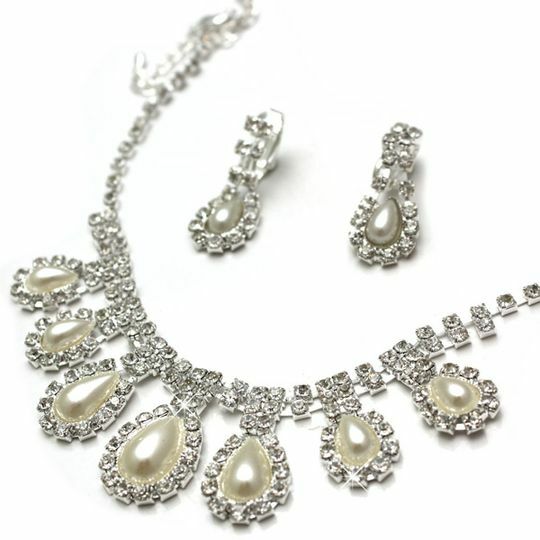 Create a look of classic glamour with this stunning Silver jewellery set adorned with petite pearls, surrounded with clear sparkling crystals in a repeated tear drop design. Cheap costume jewellery of the highest quality! Clip on earrings with 3cm drop.